Josie's Juice was a guest at the fabulous and VERY central Novotel Sydney Central hotel. You guys, I will confess: I kinda forgot this hotel space was nestled in the busy Broadway precinct 'hood. I am glad I found it again. I will be spruiking it like nobody's business when people ask: where should I stay when I am in town which is smack bang in the middle of the Sydney CBD, but I can still easily access Newtown up the road, Leichhardt further up, and in the other direction, the CBD, George Street, Circular Quay, and more. This place! The rooms are great for family stays and mini stays, the breakfast is excellent quality with lots of choices, and it's a great spot to launch walking tour of the city from, whether you are a local or an out of towner. For more on the hotel, and to book CLICK RIGHT HERE. When to next book? Why not do it for the Vivid lights festival coming up? Novotel Sydney Central have a ‘Vivid by night’ accommodation package - see the link HERE. Sydney will once again be transformed into a spectacular canvas of light, music and ideas when Vivid Sydney takes over the city from 27 May 2016. Turn your Vivid adventure into an experience with Novotel Sydney Central's ‘Time to Celebrate’ accommodation package starting from $259 per room, per night. • Express tasting plate dinner for two at Fieldhouse Restaurant. Includes a complimentary glass of wine each. Fieldhouse tasting plate includes: Duck bruschetta, soup taster, Cajun crusted lamb cutlet, ratatouille and mint labneh OR vegetarian Lasagne and baked New York Cheese Cake. *Full payment at the time of booking with no cancellation. Dinner must be ordered between 6pm and 7pm. Only available between 27th of May 2016 and 18th of June 2016 and is subject to availability. Featuring a selection of dishes to be enjoyed before lights on, enjoy 2 courses for $39 or 3 courses for $49. Each includes a glass of house wine. 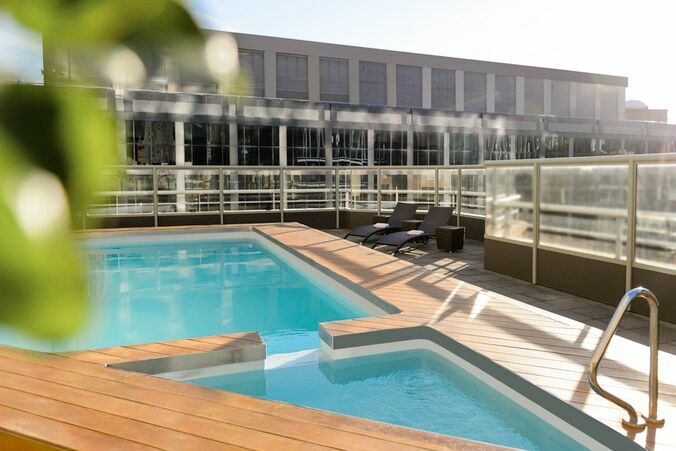 Novotel Sydney Central is located within walking distance of Darling Harbour in Sydney’s bustling CBD, and is conveniently located close to Sydney’s leading entertainment precinct, exhibition venues, and local attractions. When you are looking for hotels near the heart of Sydney and its lively entertainment centre, Novotel Sydney is the perfect location. Guests enjoy one of the top 4.5-star hotels for families in Sydney, including 255 well-appointed, spacious guest rooms with a choice of a king or two queen beds. Designed for business and holiday travel, all accommodation rooms feature a contemporary design that includes LCD televisions, iPod docking stations, private balconies, nine Austar channels, chaise lounges, ergonomic workstations and fast Internet access. Situated at the end of a quiet-cul-de-sac and offering easy access to Central Railway Station, Novotel Sydney Central’s facilities are perfect for those travelling to Sydney for business or leisure. If you are looking for hotels near Chinatown or Haymarket in Sydney, this is the place to stay. 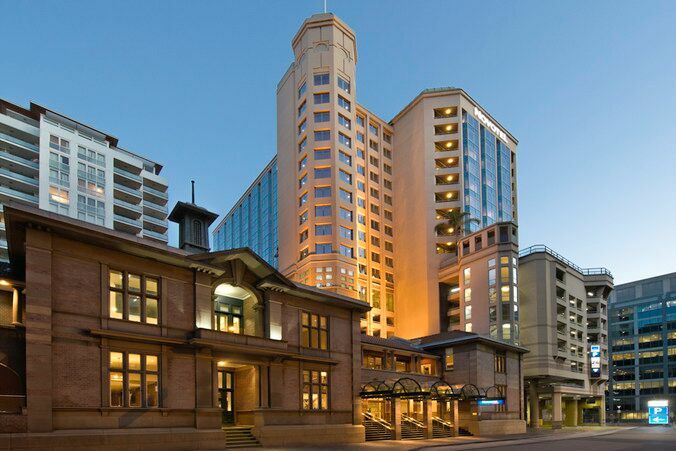 A great holiday hotel in Sydney, Novotel Sydney Central has everything you need for a memorable vacation. Boasting a state-of-the-art gymnasium, outdoor rooftop pool and garden area, secure car park, and a contemporary on-site restaurant. This hotel includes 14 purpose-built meeting and event facilities with some that offer natural light. The Novotel Sydney Central can cater for any occasion. Being only minutes from Sydney’s corporate hub and public transport centre, it is the ideal place to host an event and inspire new ideas. You will always have something to do when you stay at Novotel Sydney Central hotel, with many major attractions close by. Local attractions include the Powerhouse Museum, IMAX Theatre Sydney, Sydney Sea Life Aquarium, National Maritime Museum, Sydney Wild Life Zoo, Sydney Exhibition Centre, and the Sydney Entertainment Centre, now known as the Qantas Credit Union Arena. When you are looking for a central hotel or family hotels in Sydney, Novotel Sydney Central offers comfortable accommodation that caters for all of your needs. 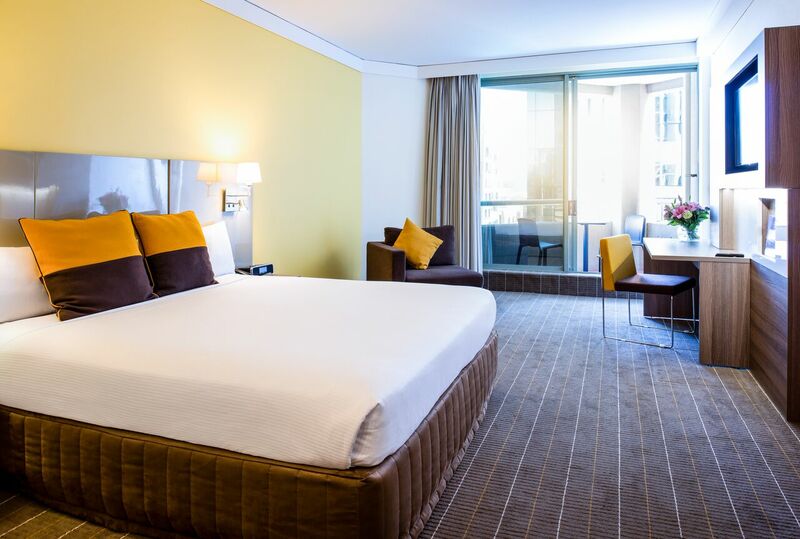 For your next visit to Sydney's CBD, whether it is an executive trip, family holiday or weekend couples escape, come and discover what makes the Novotel Sydney Central one of the top boutique hotels in New South Wales, Australia.